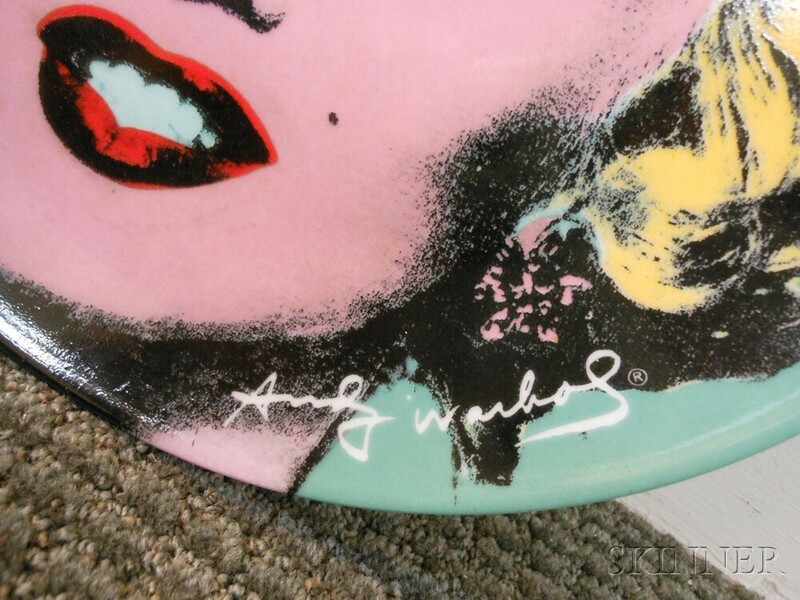 Marilyn Monroe, 1998, edition of 5,000. 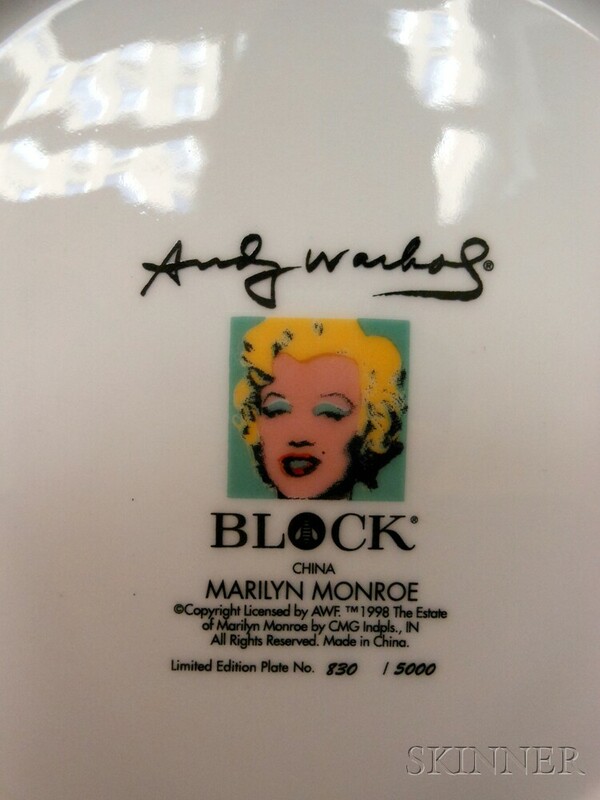 Identified and numbered "Block/China/Marilyn Monroe/©Copyright Licensed by AWF. 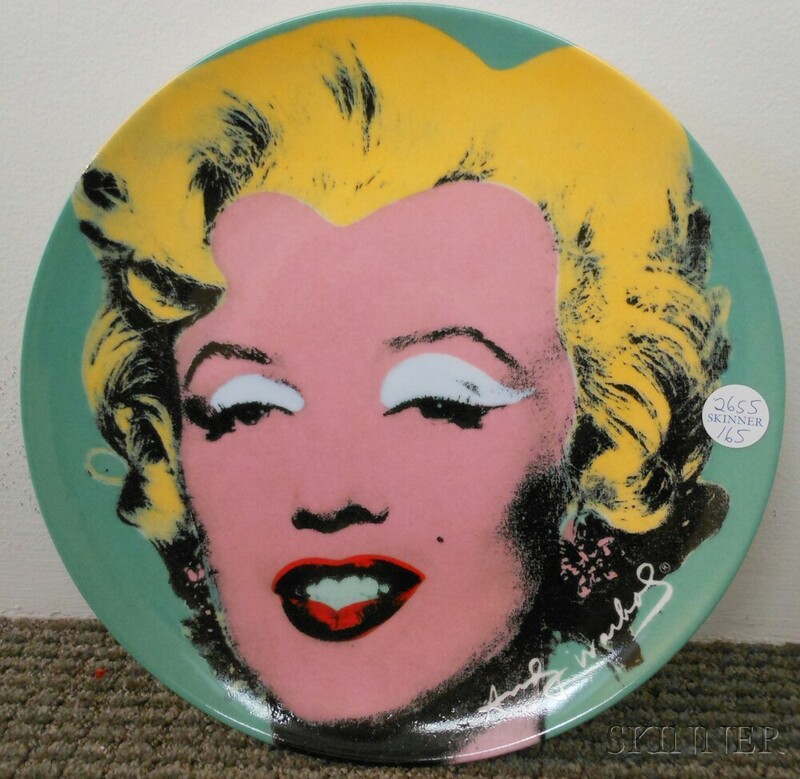 TM 1998 The Estate/of Marilyn Monroe by CMG Indpls., IN/All Rights Reserved. Made in China/Limited Edition Plate No. 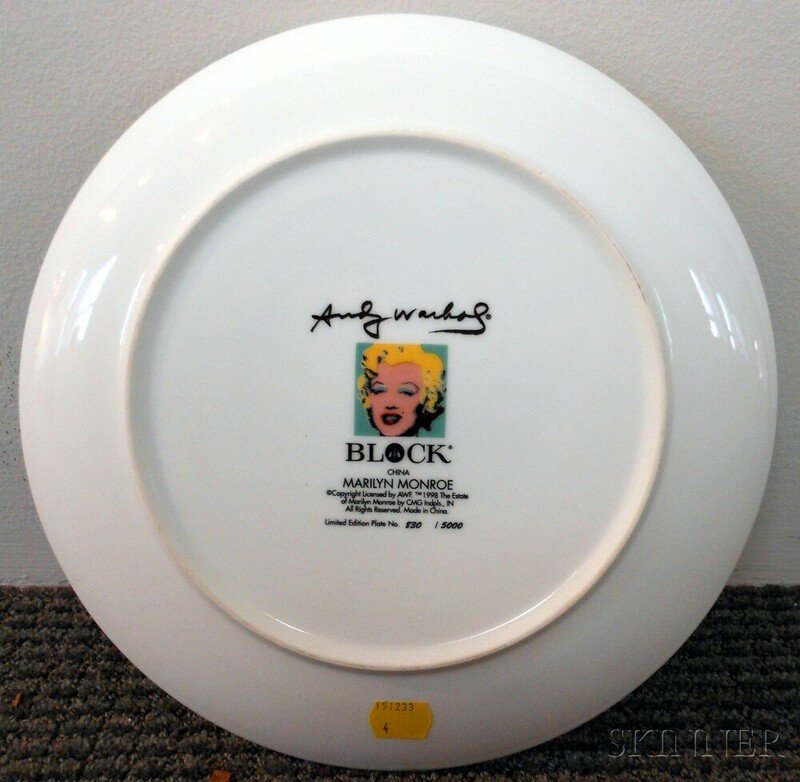 830/5000" on the reverse. 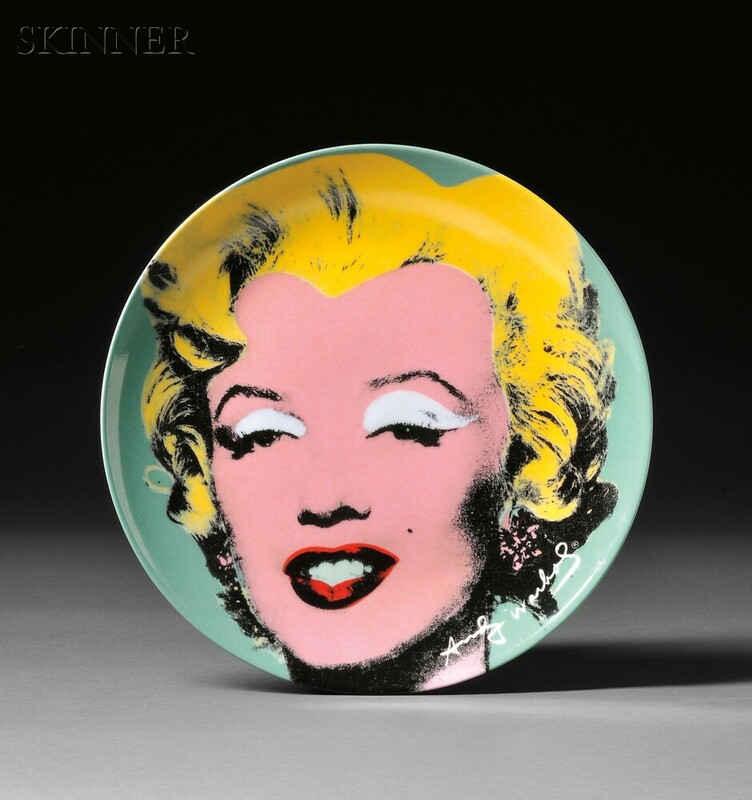 Transfer-printed porcelain plate, dia. 10 5/8 in. Condition: Good. 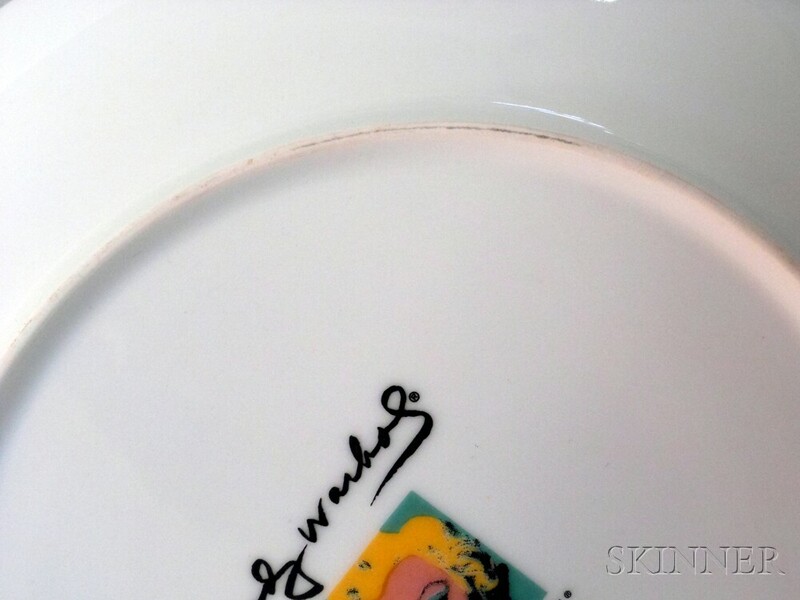 There is very minor wear along the base rim.